Perfect Descent auto belays offer climbers the freedom to climb when they want and how they want while saving operators money and reducing belay related risks. 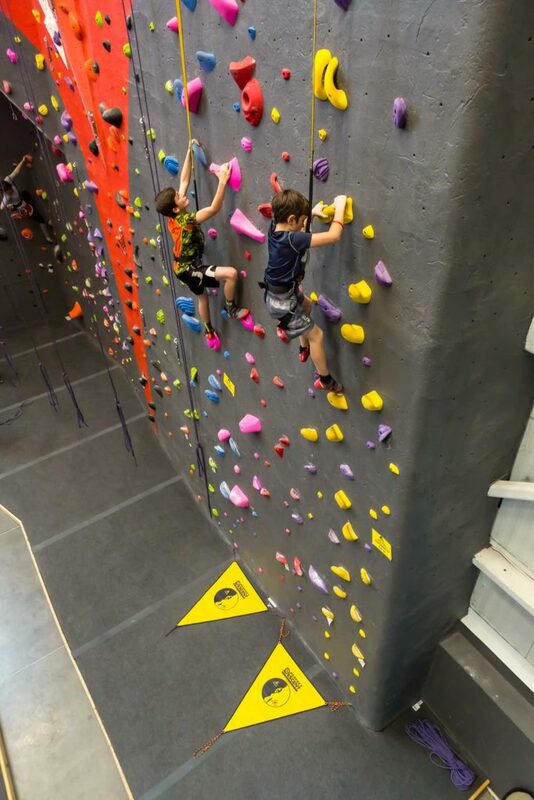 Replacing partnered belays and traditional climbing ropes, Perfect Descent auto belays automatically take up slack as the climber ascends a route and provides a smooth and controlled descent when the climber reaches the top or takes a fall. Using Perfect Descent in your gym, on your wall, or at your camp reduces barriers, creates more options, and supports a range of comprehensive training and fitness programs. Perfect Descent users know and research demonstrates that errors by belayers is the greatest risk associated with serious injury while climbing. Training and supervising belayers takes time and strict adherence to procedure. Despite great efforts to educate and certify belayers, the potential for human error and lapses in supervision are ever present. Perfect Descent auto belays give the operator greater control in managing belay related risks by taking safety out of the hands of climbers and reducing the variables that can result in an accident. Perfect Descent is the perfect climbing partner; never distracted and always ready to go. No more coordinating schedules and swapping belays. Grab a quick session and accomplish more in less time. Train like a pro by creating circuits, doing laps, and timing intervals. Meet fitness goals while honing technique, building strength, and boosting endurance. Quickly warm up at the start of your session and down climb to improve footwork. Perfect Descent is a critical tool for today’s training and fitness minded climber looking to gain the most from their time on the wall. Break down barriers and get new and one-time climbers on the wall in less time and with less effort. Perfect Descent auto belays offer climbers more independence and require less direct staff support. The triple-locking carabiner makes belay-to-harness connection a snap and is easy to check and monitor. Expand options for high-volume, low-staff programs and turn over routes and event space more quickly and efficiently. Used in climbing competitions around the globe, Perfect Descent is the exclusive auto belay for iFSC Speed Climbing events. Perfect Descent Speed Drive Technology keeps pace with the world’s fastest climbers ensuring consistent and error-free belay management. Sport climbing including lead, speed, and bouldering will debut at the 2020 Olympic games in Tokyo, Japan. Perfect Descent is a proud supporter of the Olympic journey and sponsor to the iFSC, climbing competitions around the globe, and athletes including Sean McColl and Kai Lightner.